Built with a lightweight ALUXX aluminum frame featuring performance-oriented front-end geometry, the SCR is a great choice for a fitness routine or riding to work every day. 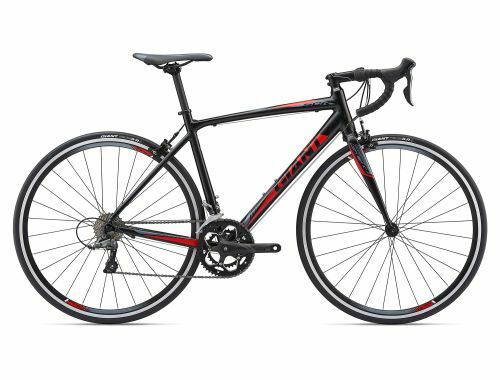 The stiff chassis and sharp-handling geometry is balanced out by the D-Fuse seatpost design, which absorbs road shocks and vibrations to give you a smoother ride. The frame includes integrated mounts for fenders or racks, so you can easily carry your essentials. The frame is engineered for a balanced, all-rounder feel that blends confident rider positioning with agile cornering and acceleration. Innovative D-Fuse composite seatpost absorbs road shocks and vibrations for a smooth ride quality that improves comfort and minimizes fatigue. Features integrated mounts for racks and fenders so you can carry essentials and protect yourself from road spray in wet winter weather.